Janet McDade has 22 years of experience in education and is currently the Assistant Superintendent for Student Services in Carroll ISD. In this role, she provides support for student academic achievement across content areas and instructional delivery while supervising the Curriculum and Instruction Department, Special Programs Department, and the Technology Department. Additionally, she is responsible for providing support to all K-12 campus administrators, counseling department, Career and Technology Department, Fine Arts Department, Physical Education, and Nursing Services. 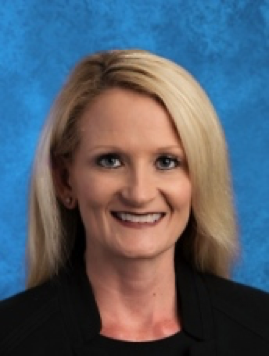 McDade has experience as a former Executive Director of School Transformation in Garland ISD, as well as principal and assistant principal in Mansfield ISD. She was the principal of the Ben Barber Career Tech Academy and Tarver-Rendon Elementary in Mansfield. She has a Master’s degree from TCU and undergraduate degree from Angelo State. She is currently working toward her doctorate at Texas A&M University-Commerce. Janet has been married to Eric for 18 years and they have two boys, Bryson will be a junior and Braylen will be in 8th grade next year. Janet is a superb k12 education trainer and workshop facilitator.